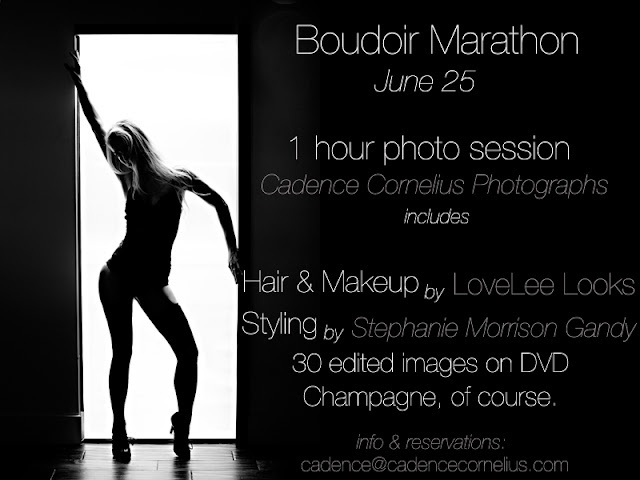 Cadence Cornelius Photographs is hosting a Boudoir Marathon on Saturday June 25th! With the collaboration of LoveLee Looks & Stephanie Morrison Gandy, spots are sure to fill up fast for this terrific trio of Minneapolis talent. The photographs from this sultry session makes for an unforgettable groom's gift. Contact Cadence for more information and to reserve your session!